Planning a vacation is fun. Paying for it? Less fun. In 2017, Americans spent $1,036 billion in travel.1 That’s. Um. A lot. 5 Months Before: Look over your budget from the last few months and ask yourself, “How much can I realistically funnel toward my trip?” (If you haven’t made a budget yet, create one using EveryDollar. It’s free!) Be sure to set this cash aside in your budget each month with a fun name, like “Swimming with Dolphins” or “Paragliding Over the Grand Canyon.” It’s much easier to save $350 a month when you’re focused on the adventure ahead. 4 Months Before: Start narrowing down hotels and flights. Which hotels have the best rates? Is a direct flight important to you? What about an all-inclusive vacation? Search for what you want at the price you can afford. 3 Months Before: Book it! It’s time to nail down your reservations before everyone else beats you to it. As you’re making those reservations, check to see if your hotel or airline offers a “my dates are flexible” option. Traveling a week earlier or later could save you hundreds of dollars—and buy you another day next to the ocean! 2 Months Before: How’s your budget holding up? If you’re right on target, great! But if you’re coming up short, look for smart ways to cut back temporarily. Reduce your restaurant fund by $50. Shrink your clothing budget a bit (last year’s swimsuit fits just fine). And skip the movie tickets for now. You’ll have plenty of fun during your vacation in eight short weeks! 1 Month Before: You’re nearly there. It’s time to hone in on the day-to-day details. How will you spend your money during the week of your trip? To stretch your food money even further, subscribe to a few restaurant email lists for coupons or free appetizers. Plan on eating at your favorite place for lunch instead of dinner. And hunt for great promo codes for that amusement park you want to visit. The more money you can save for extra ice cream, the better. 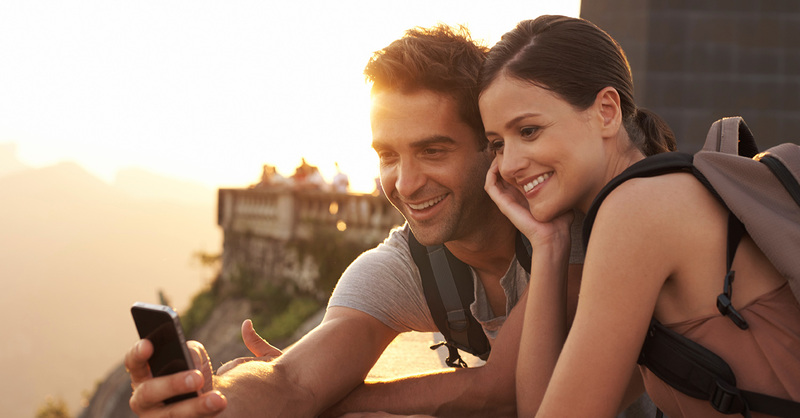 You don’t have to charge your vacation to a credit card to enjoy it! With some smart planning now, you can have the trip of your dreams without bringing home any debt. Seashells are much cheaper souvenirs anyway. Start planning your dream vacation with a free EveryDollar budget now!